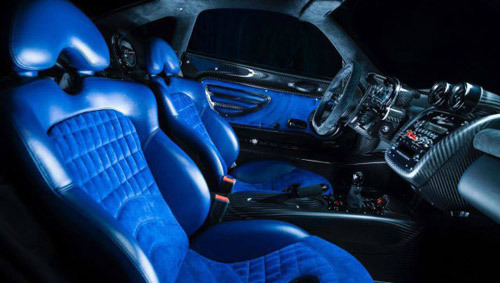 When thinking about exotic models, we definitely can not remember anything rarest and specifically created for certain people than Pagani’s model. In the history of automotive, there are certain models that have never crossed the figure of two production units, but in the case of serial models, there are those brands that do not have two identical lines in their lines. 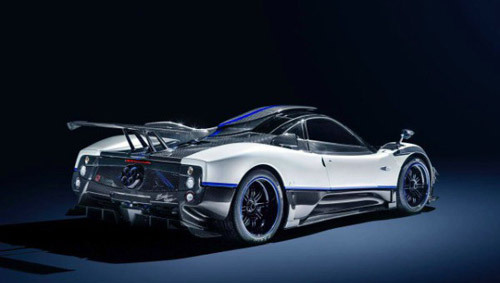 Another unique Pagani Zonda Riviera has just been delivered to the exotic car showroom Seven Car Lounge in Saudi Arabia and this is the first time we see this hypereutomobile in the full light. When in July we first heard the Riviera coming to the market, the company followed the whole story with very stiff information given to the media. We are now in the possession of official photos, which give us a full insight into the look of the car, and this special, probably the prettiest of the entire Zonda series ever. Exterior of this car has an amazing pearly white color scheme, created with the help of glossy carbon elements. 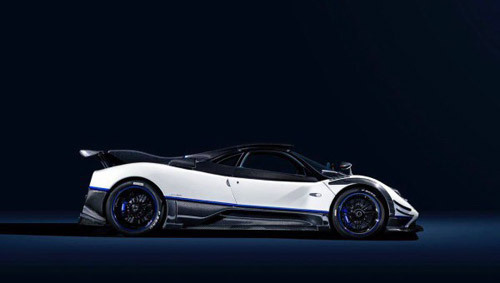 Such a combination of white and carbon fiber comes as a classic choice for Zonda models, but what separates this car from the rest are its black wheels with blue lines on the edges, located below the carbon edges. Other outstanding car features include four carbon stabilizers on the front, a roof air intake, a large tail and an aggressive diffuser. For the most part, the exterior of this unit is very similar to the Zonda Cinque model.